Alpaca Woven Area Rug 3 ft. x 5.3 ft.
7/8 Accoyo;17.5 AFD 3nd Shearing! Rose is a proven full Accoyo girl with a winsome personality to match her great looks. 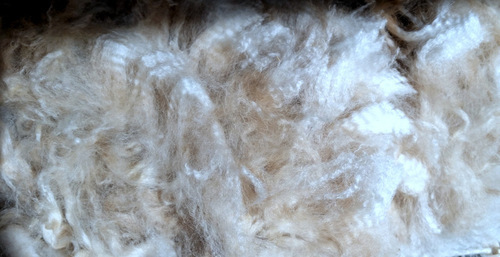 She has perfect conformation with a typey head, correct bite, and outstanding 22 AFD fiber with berber-rug density. Contributing to her superior genetics are the highly-regarded herdsires El Nino, Caligula, and Vengador. 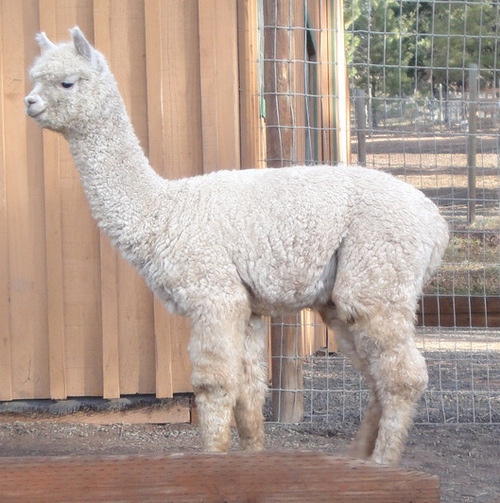 Her full Accoyo dam Sierra (Vengador/Astillero) retained her 20 micron fleece over her long lifespan. We knew Carissa Rose from day one would literally shine! And shine she does! 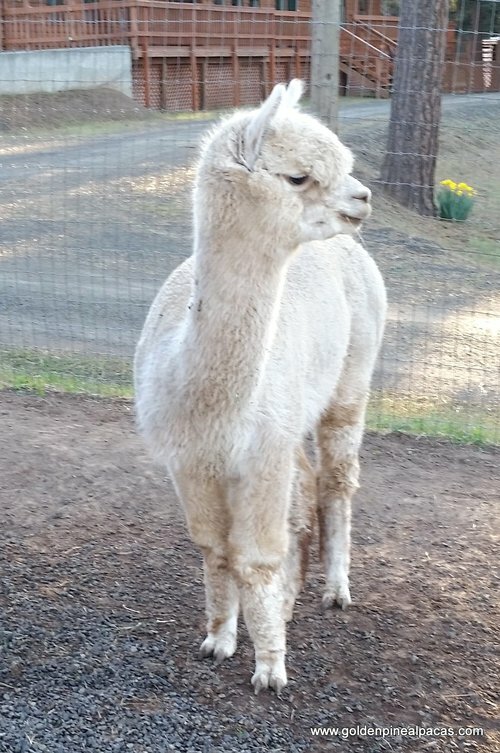 A truly elite alpaca. Buttery soft, her fiber is truly exceptional as expected from her full Accoyo mom Velvet's Accoyo Phantom Rose and B Line Accoyo Zen Do's son Zensational. 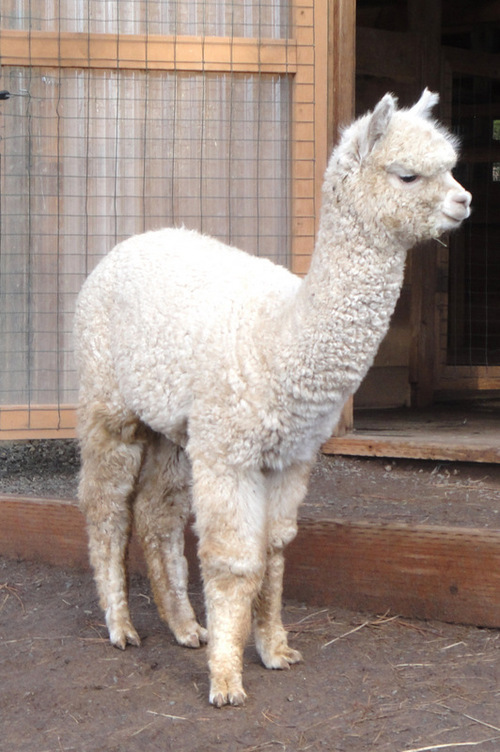 Excellent conformation and sweet temperament complete the picture of this very special 7/8 Accoyo girl. "This fiber has earned it's name Buttery soft. Love it!!" "Absolutely awesome fiber. Like air! Spun up beautifully. Thank you!" 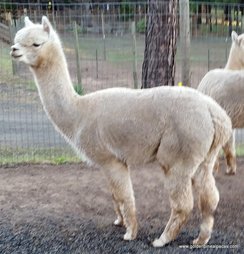 Included in the price, Carissa Rose can be bred to buyer's choice of any of Golden Pine's herdsires. Minimum sale for financing is $1000. No interest and 12 month terms are available with a 33% down payment. Talk to us about other financing options. 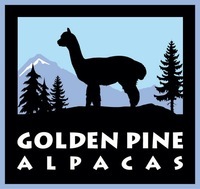 Free boarding is available for 90 days while you prepare your acreage for alpacas. Ongoing mentoring and training is part of our business – your success is our success!